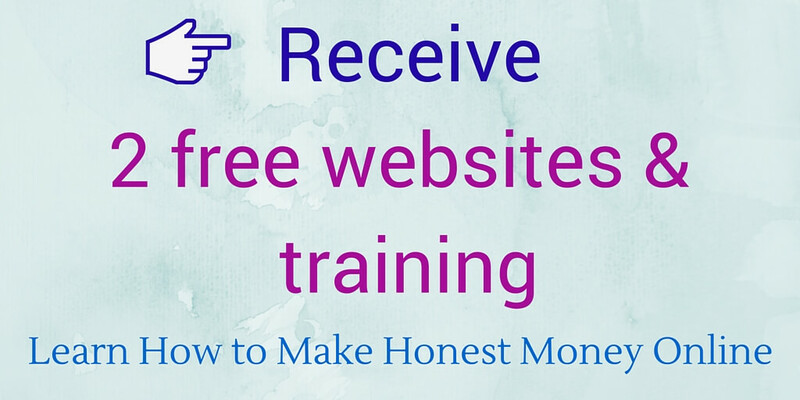 For online success, you must know how to drive traffic to the website. Hence, SEO. At all cost, be sure to do seo your website. Today I am going to show you the simple SEO beginner tips to help you build a website Google (or other Search Engines) friendly. These are essential factors as to how to SEO a website for free and my focus here is going to be on the technical elements of it. In other words, how to structure your content in a manner that Google easily understands. There are quality elements of SEO too, but I will talk about those in another blog. Remember the free website we have built together as a sample? My “Yuko’s Gluten Free Diet” website? Here we are inside the “Dashboard” of my website. Simply click on “Posts” to “Add New” to create a new post. First and foremost, the title of your blog post has to be a keyword that you have selected. The keyword can be words or phrase, and they should be the core concept of your post; what your post is going to be about. Please keep in mind, though, that there are strong keyword and weak keyword. Strong keyword narrows down the target readers and helps to improve your ranking quickly for that particular topic. For instance, my website is about Gluten-Free Diet, right? There are millions of websites with similar topics and among all those competitors, it is very difficult for me to get ranked on the first page of Google search when my website is quite new. Thus, for the very first blog post I am about to create, I want to find a keyword that does not have too many competitors. I have chosen “What is a gluten-free diet” as the title (keyword) of the blog. It is a better keyword compared to something like “Gluten-free diet,” which is too broad. My keyword is more specific and targets those readers who particularly want to learn what gluten-free diet is. These keywords are called “Low Hanging Fruit Keyword” and they should have less than 300 competing websites under the keyword. There are tools that tell you exactly how many competing websites exist for the particular keyword. 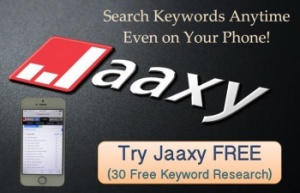 I used a tool called Jaaxy. You can try it for free for 30 keywords if you would like to see how it works and how it helps you choose better keywords. Jaaxy showed me that there are 232 other websites under the keyword “What is a gluten-free diet,” which means I have less than 300 competitors so I decided to go for this one. Ok, as you can see I typed in my keyword “What is a gluten-free diet” as the title of my post today. If you could somewhat include the same keyword within the first paragraph, that would be great. However, it is not necessary so do not worry too much about it. Keep your content natural, interesting and engaging. It is way more important to make the reader stay and read on the post to the end. Google likes that you are not afraid of sending the readers to other sites. Thus, having an external link within your post is a plus, although you don’t have to do it for every single post. In my case, I linked the term “Celiac Disease” to Wikipedia. Link a word or phrase within the current post to other posts that you have previously written. To do this you must have multiple pages, and Google views it as positive elements of your website. You may have noticed that I have placed a few internal links in this post that you are now reading. Web readers are skimmers. They don’t come visit a website to read a novel. They come for information. Quick information! Therefore, headings are extremely important to divide the long content into sections and give readers the general idea of your post. Google also learns what your content is about from the headings. Make it in the font size Heading 1 (H1) or Heading 2 (H2) for the sake of Google so that they can easily recognize your headings. Now that we covered all the tips let’s visit my website to see how it looks. Ta-da! Looks pretty good don’t you think? As you can see, I also inserted a small image in the first paragraph. Images do not affect your SEO as much as the content itself, but it does look more appealing to your readers. I will discuss how to make a readable content by putting images in another post. I didn’t finish the page “What Is A Gluten-Free Diet” because it is an example article that I merely created to show you the SEO procedure. Therefore, the page has less than 200 words. For a real article, however, I recommend that you write at least 700-1000 words. People say that those articles ranked on the first page in Google normally has over 2000 words. The more you write, the better possibility for your ranking. These basic SEO Tips may seem minor, but it does pile up and help to keep your website strong with ranking. I hope you found these tips helpful. Happy writing! 6 Comments on "On-Page SEO Techniques for Beginners"
I just started online myself and trying to soak up as much information as I can. Thank God I found your article 🙂 It is just what I needed..full of information yet simple to understand. Do you think that beginner as myself can do this SEO easily or would I need a helping hand? Very helpful tips! I learned a lot from the suggestions that you presented and would apply them to my posts. All the tips are so helpful. Thanks for sharing this blog. I’m glad that the post was helpful.